SBCF-222 Cal Royal window casement fastener solid brassSize: 2-1/16" X 1-1/16"Projection: 1-7/8"Indi..
SBCF-333 Cal Royal window casement fastener solid brassSize: 2-1/16" X 1-1/16"Projection: 1-7/8"Indi.. 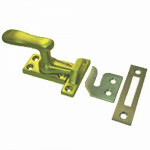 The Ives 07 Window Lock is designed low to the sash for superior strength and greater resistance to .. 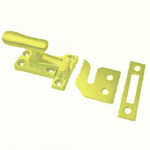 The Ives 066 Aluminum Casement Fastener, RS & MS Strikes for use on windows to provide weather-t.. 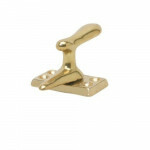 The Ives 066 Solid Brass Casement Fastener, RS Strikes for use on windows to provide weather-tight f..